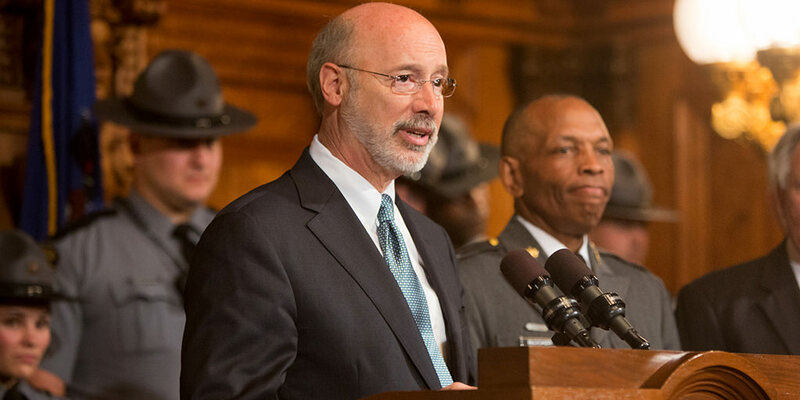 Harrisburg, PA – Governor Tom Wolf today commended the Pennsylvania State Police forensics for completing the testing of more than 1,100 kits in 2018 and reducing its backlog from 390 kits to zero. The Sexual Assault Testing and Evidence Collection Act was amended on July 10, 2015, with the passage of Act 27. As amended, local law enforcement agencies are required to submit the number of sexual assault kits in their inventory with any backlogged evidence awaiting testing to the Pennsylvania Department of Health, which in turn publishes an annual report at the end of April. Each testing laboratory used by a local law enforcement agency is required to submit the same information to the department. The annual report is intended to provide a comprehensive view of the number of untested sexual assault kits in the commonwealth and to ensure that those kits are tested in a timely fashion. This, in part, ensures that sexual assault data is uploaded into the requisite federal database to help solve related sexual assault cases. Kits may be considered backlogged for a number of reasons, including that some kits are from victims who have not yet consented to testing and anonymous victims.